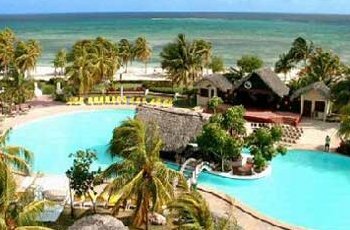 Brisas Guardalavaca Resort, a 4 star all inclusive beachfront resort is set on one of the most beautiful white sandy beaches on the east of Cuba, near Bariay, the place Admiral Christopher Columbus was amazed at for its beauty when he discovered Cuba in 1492. Just half a kilometer from Guardalavaca tourist center and about 72 kilometers from Holguin International Airport, this resort perfectly combines Cuban culture and traditions with an excellent service, which makes it one of the most attractive all inclusive destinations in Cuba. Ideal for families, wedding couples and honeymooners, Brisas Guardalavaca offers guests all they need for an unforgettable vacation, excellent food options, an amazing beach, well equipped rooms and a friendly staff always ready to please the most demanding guests. 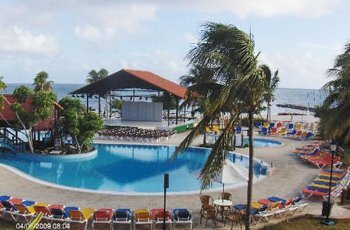 Brisas Guardalavaca all inclusive resort offers guests lots of services and facilities to guarantee you a comfortable and worries free stay. A 24 hour reception desk, currency exchange, elevators, beauty salon, Internet connection, laundry service, bikes rental are just some of the services. Two swimming pools will help you soothe the heat away while you watch your kids splash around in the children’s area. Trim your body at the resort’s Gym and try losing the extra pounds at the sauna. Enjoy the magic of Caribbean dances and move to the rhythm of Cuban music. Brisas Guardalavaca’s excellent day and night entertainment shows will make you laugh. All this together will be great food for your soul and body and when you go back home you will feel you have replenished your energy. Brisas Guardalavaca Resort Dining: 2 buffets, 2 a la carte restaurants and a grill offer Brisas Guardalavaca’s guests an excellent menu and impeccable service. You can have delicious fish and seafood at El Patio restaurant and excellent Italian food at La Trattoria. Islas Mujeres grill serves light food for lunch and dinner. At the 2 buffets, La Turquesa and El Zaguan you can enjoy a wide range of succulent dishes that represent the best of Cuban and International cuisine. The 8 bars spread around the hotel and the villas create the perfect atmosphere for a nice talk while having a delicious cup of Cuban coffee or a nice Cuban mojito. For those who suffer from insomnia, La Dolce Vita, located at the resort’s disco is open until 2:30 am and Islas Mujeres offers a 24 hour service. 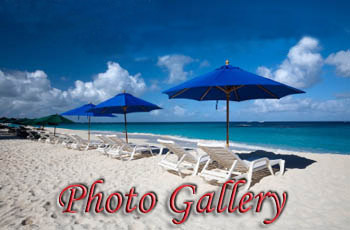 Brisas Guardalavaca Resort has 437 rooms available, 231 of them are located in the hotel and the other 206 in the villa. They are classified into different categories and include Wedding Rooms, connected rooms, rooms for disable guests, single rooms with twin beds and rooms for three people. 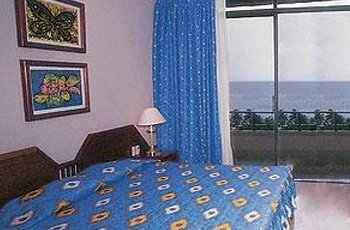 All rooms at Brisas Guardalavaca have garden or Ocean view. All standard rooms in the Villa and mini-suits have 1 extra king size bed and a sofa bed and they all include a terrace, central air conditioning, hairdryer, satellite TV, radio, Internet connection, a minibar and a safety box (extra charge). A Wedding is always a special event in our lives. You have probably dreamed about this day many times. If you have pictured yourself getting married in the Caribbean, with the Ocean as a perfect backdrop, Brisas Guardalavaca will add your all inclusive wedding a special authentic Caribbean flavour.